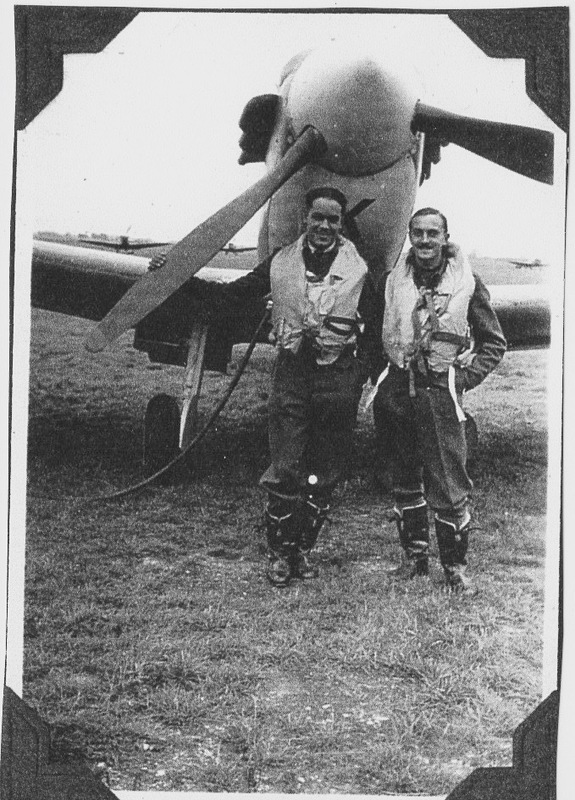 Original Caption: A Jamaican Fighter Pilot serving with the RAF – Flt. Sgt. Tucker. Mr. Whalen adds: The BBMF’s Hurricane PZ865 is currently painted in the colours of my Cousin Jimmy Whalen, and I have been to the BBMF to visit the plane. I noticed your Pilots of the Caribbean section and thought you might be interested in Vic Tucker. Vic flew with my cousin Jimmy with 129 Squadron as a Spitfire pilot early in the war. (1941). He was Oxford educated and a lawyer in London prior to the war. 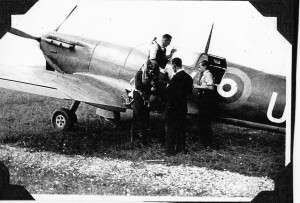 His Spit 5b was painted with a yellow coloured Island of Jamaica symbol on the nose. He was shot down on 04/05/1942 and crashed into the channel. His name is on the Runnymede Memorial. I am attaching some shots of him I obtained from his squadron mate, Ray Sherk. PS Please keep up Cy’s good work. this website and the info therein is so important. The cwgc data on V E Tucker: TUCKER, VICTOR EMMANUEL Initials: V E Nationality: United Kingdom Rank: Pilot Officer Regiment/Service: Royal Air Force Volunteer Reserve Unit Text: 129 Sqdn. Age: 25 Date of Death: 04/05/1942 Service No: 121113 Additional information: Son of Adrian and Lydia Tucker; husband of Wilhelmina Casimir Chrenko Tucker, of Highgate, Middlesex. Barrister-at-Law. Casualty Type: Commonwealth War Dead Grave/Memorial Reference: Panel 72. Further information on VE Tucker.My mother was his youngest sister. She was called Olga.I was born 6 months after his death. good example to any man. January 17th at 2200 hrs. Qualified as a barrister before the war, and was living in Highgate, North London, when war broke out. 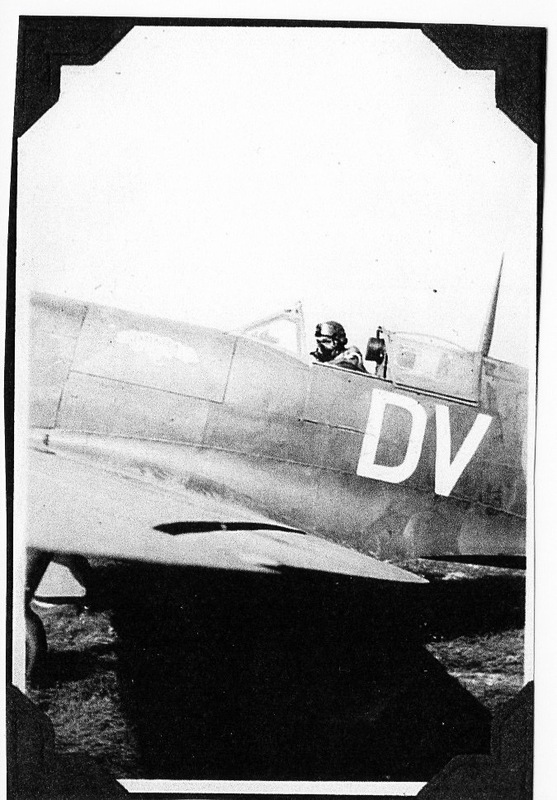 He enlisted in the RAFVR circa August 1940, qualifying as a pilot during 1941, when he was promoted Sgt. 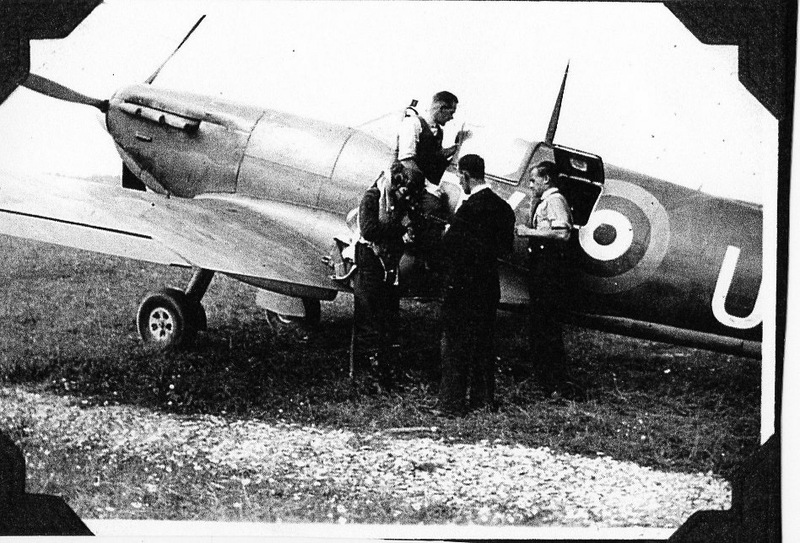 He served with 129 Squadron and on 12 April 1942 his Spitfire was badly damaged during Circus 122 to Hazebrouck marshalling yards. He managed to get back to England, but AD246 was subsquently written off as beyond repair. By now a Flt Sgt, he was commissioned on 28 April 1942, but on 4 May he was shot down and killed during a ‘Rodeo’ to Le Havre. Aged 25 at the time of his death, he is commemorated on the Runnymede Memorial. Victor Emmanuel Tucker was my uncle being the younger brother of my mother Myrtle Inez Pullen nee Tucker. He was shot down in 1942 and I was born in Dec 1943. During my mother’s pregnancy, she was in such great mourning for her little brother that it was feared that she would lose the baby. 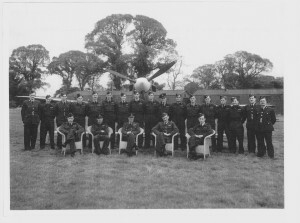 However, she carried me for full term and I came along and came to love flying as my uncle did. I worked for the airlines for years and took trips all over the world never having any fears of flying anywhere at any time. Eventually I took a job as a Flight Attendant with Eastern Airlines and flew as Purser for almost 8 years until the company closed in 1991. I had always heard of my uncle’s heroism and his being shot down over the English Channel. 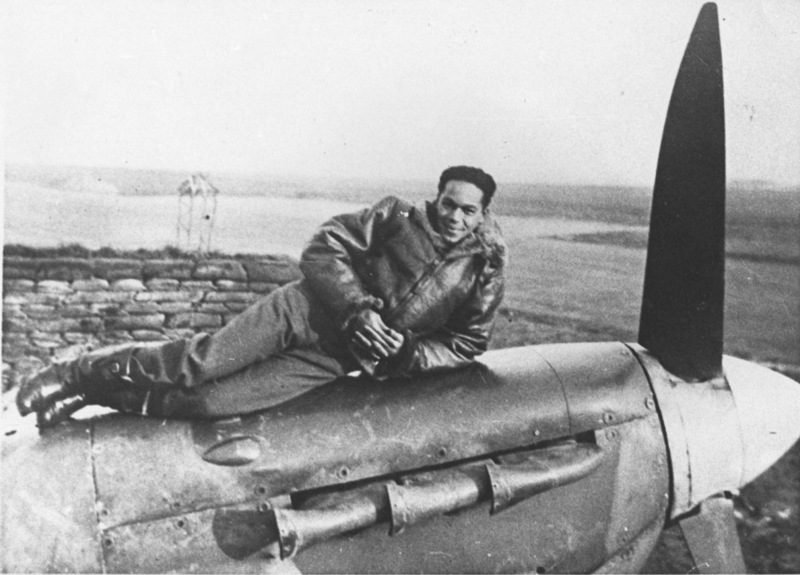 My mother did’nt want me to fly and one can clearly understand but my inner feeling was that I could not be an ace pilot but I too would be doing what my uncle loved – soaring the skies. Sorry I did’nt get to know him but heard he was a wonderful person and another Sagittarian. May his memory live on forever. You must be very proud Victor. I have many pilots in my family.